With 34 stalls selling every type of food and drink you could think of, from cupcakes to curries and slushes to toffee vodka, the festival was busy from the start. Stephen Lowe from BBC Radio Lancashire commented that there was a wonderful ‘8000 people plus’ in the ‘beautiful’ town centre of Nelson on Saturday – the largest number to date! Mayor of Pendle Borough, Councillor David Whalley, who opened up the festival this year after an introduction from the Town Crier, spent the day mingling with the public, as well as enjoying the many free live demonstrations with his wife and Mayoress Barbara and, of course, sampling the varied culinary delights on offer. But it wasn’t just about the food and drink. Performances from The Punjabi Roots Academy, Sambafiq Band and Samba Livre dancers, and world-class football freestyler John Farnworth, all attracted a large crowd of spectators who were laughing, smiling and getting involved. Highlights of an amazing day included multiple live demonstrations from celebrity chef, Richard Fox. 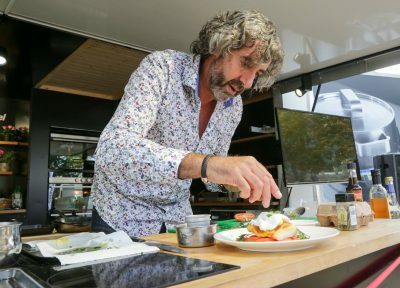 Originally from Harrogate, Richard specialises in turning food that is left in cupboards and fridges into gastronomic delights, not disappointing with his delectable Welsh rarebit (‘posh cheese on toast’) on the day. There was something for everyone! 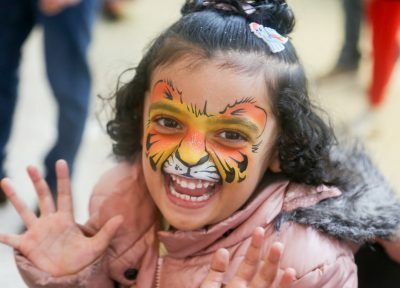 Children were fond of the numerous rides brought to the town, and took full advantage of the free Henna art and face painting that was on offer inside the Arndale at Pendle Rise Shopping Centre. 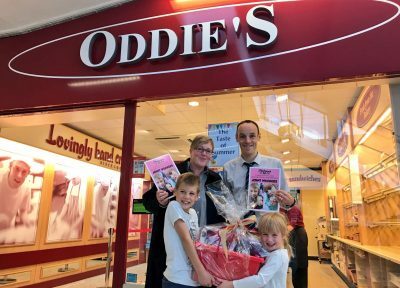 They also had the opportunity to partake in a ‘Cake Decoration Competition’ held by Oddie’s. “What a fabulous day, fantastic work and a fantastic effort,” said Councillor Zafar Ali.